Pupils from years 5 and 6 were recently invited to experience the Catalyst Science Discovery Centre. The children had a fantastic time conducting science experiments and exploring the hands-on activities available at the centre. 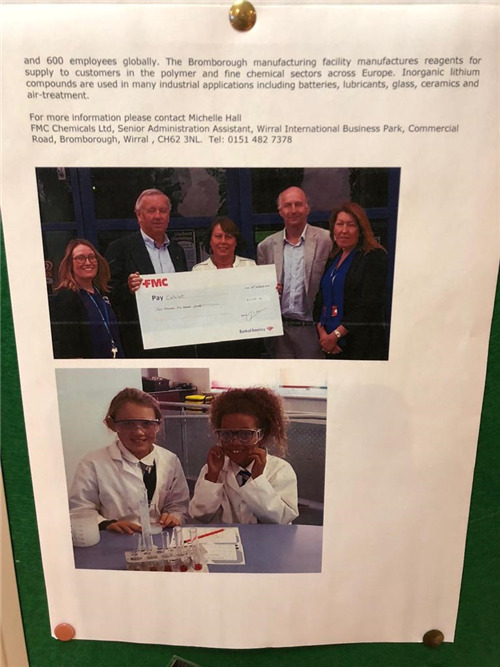 This was a truly memorable experience for the children and we would like to thank FMC Chemicals for sponsoring this event and inviting us to take part. The children loved it! 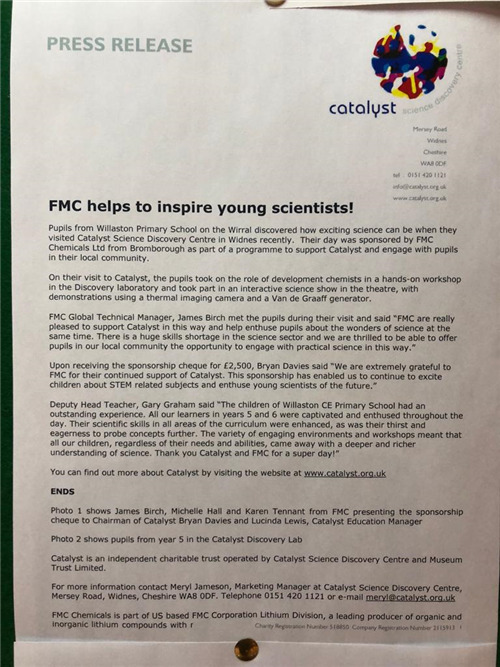 Please see Catalyst Science Discovery Centre Press Release attached.